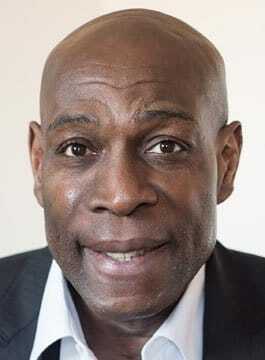 Frank Bruno MBE is a Former World Heavyweight Boxing Champion. Born in London, Bruno started boxing at Wandsworth Boys Club aged of nine. Between 1977 and 1980, Frank boxed for the Sir Phillip Game Amateur Boxing Club. During his amateur career he boxed 21 times, losing only once. In Frank’s final amateur season he represented Young England, becoming the youngest ever ABA heavyweight champion aged 18. Bruno started boxing professionally in 1982. His ring record is 45 contests with 40 victories, 38 of them knock-outs. His only defeats have been by James ‘Bonecrusher’ Smith, Tim Witherspoon, Mike Tyson and Lennox Lewis. Frank won the WBC Heavyweight Title in 1995 when he beat Oliver McCall. Throughout the 80’s & 90’s Bruno was a popular guest on prime-time TV shows. Since retiring, Frank has continued to feature on many shows including ‘A Question of Sport, Ant & Dec’s Saturday Night Takeaway and Piers Morgan’s Life Stories. In 2004 the British Board of Boxing, Lonsdale and the EABF held a tribute lunch at the honouring Frank for his achievements both in and out of the boxing ring. Guests included Harry Carpenter, Reg Gutteridge, Audley Harrison and Michael Watson. Frank was invited by the British Olympic Committee to take part in the Olympic Torch Relay in London. In 2003 Frank was diagnosed with Bipolar disorder. Frank has used the media attention to help with the stigma attached to mental health. In his 2017 book ‘Let me be Frank‘ Bruno talks about his battle with mental illness, his time inside a mental facility, the impact his illness has had on his family and his career – and his long road back to stability. Bruno is a man who has been right to the top and right to the very bottom – he remains a national treasure. Frank Bruno is available for entertaining Q&A led speeches.